Isn't it surprising what incredible markings animals can have? 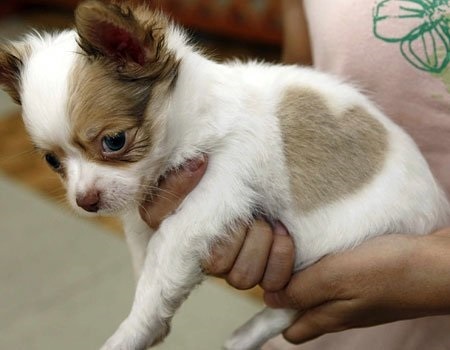 Look at this puppy with a heart-shape. I guess this is one in a million! They say the puppy was born in Odate, Japan. I wish I could visit it to see him myself! By the way, I bet that if the owner wished to sell him, it would be really a high price. But well, love can't be sold. Wow this is really impressive! One in a million indeed. Hmm I cannot recollect seeing anything like that. It doesn't seem lame, though. A great find, Omnia. The mother nature is full of surprises! Whow! This is something I have never seen before, really! I want a kitten with such a marking. Lauren Whow! This is something I have never seen before, really! I want a kitten with such a marking. Voila! It's not as clear as on the puppy but look cute anyway uh? They say that the name of the kitten's mother is Dottie, and if you look closer at the markings, you will read, "I dot". 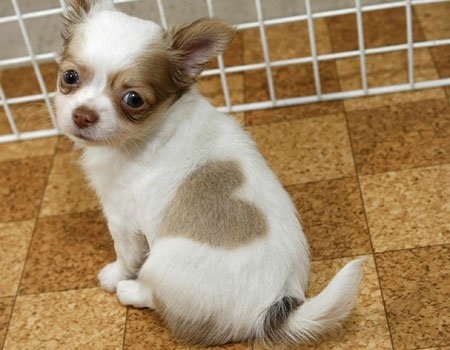 Do you think it anyhow means "I love my mom"? Fantastic in any case! 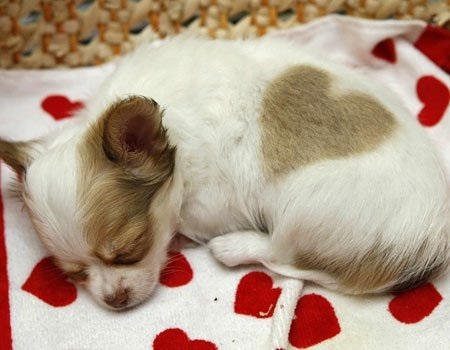 Aww that is lovely!! Definitely a one in a million chance!